You can now pay for your Contact Lens order online using Medipass. Pay with your health fund! You can now pay for your order online using your health fund, through Medipass. If you're with one of the Health Funds below just enter your membership number to make an instant claim. We'll deduct any allowance from your total and let you know if there's any gap to pay. The amount you can claim will depend on your Health Fund cover and any recent claims you've made. 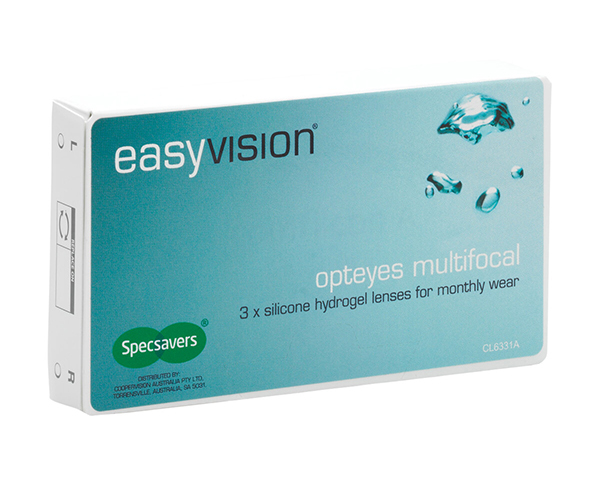 Specsavers easyvision Opteyes Multifocal also have an advanced designed for high stability and less movement of the lens when changing between near and distance vision. This gives clear, high-performance vision consistently for those with astigmatism. *Follow your Eye Care Practitioner’s instructions regarding the wearing schedule of your contact lenses.